Michael Norgrove has died several days after collapsing in the boxing ring, the British Board of Boxing Control (BBBC) has announced today. Zambian light-middleweight Michael Norgrove, who was based in London, collapsed on March 31. The 31-year-old was treated for bleeding on the brain following the bout against Sedgley’s Tom Bowen at The Ring in Blackfriars, south London. BBBC General secretary Robert Smith said: “We were informed of his death this morning. The whole sport feels for his family and we need to let it sink in. 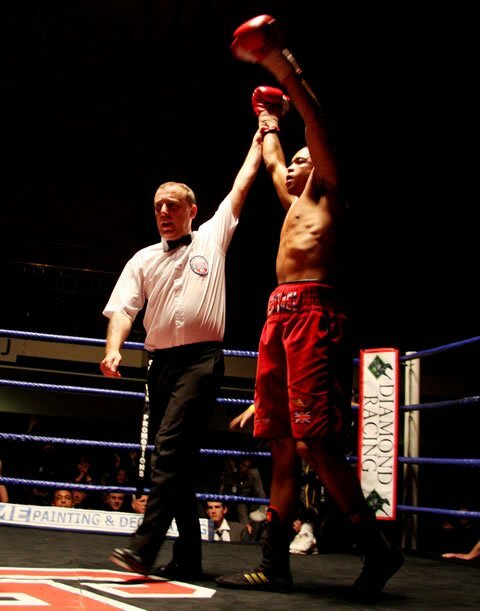 Michael Norgrove had been taking part in his first fight after a two-year break from the sport. The boxer was undefeated and had he beaten Tom Bowen it would have been a sixth straight win. Michael Norgrove was a sparring partner of boxer James DeGale, who won a gold medal in the Beijing Olympic Games. Michael Norgrove had trained at the Repton Club in east London. A statement on the club’s website said it was “saddened” by the news that the boxer had collapsed “doing what he loved”.